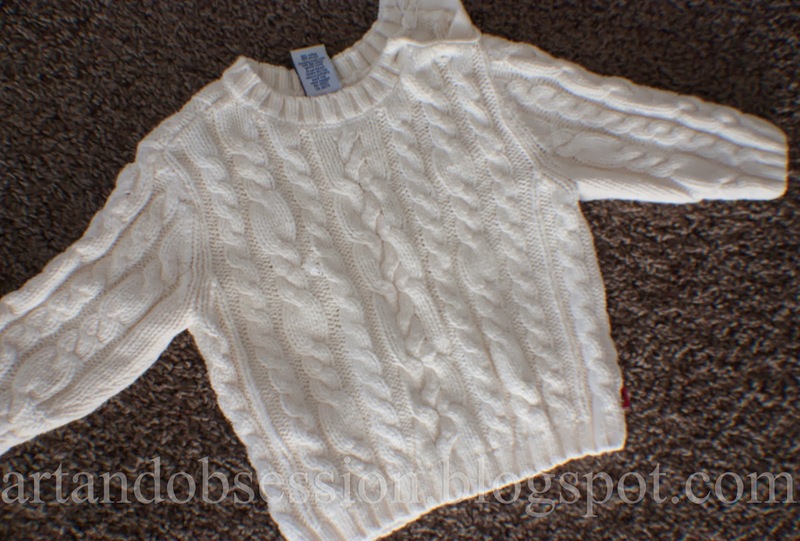 I picked up this sweater today at a thrift store for 50 cents. It's toddler size, and had a snag on the front, so I wanted to re-purpose it. 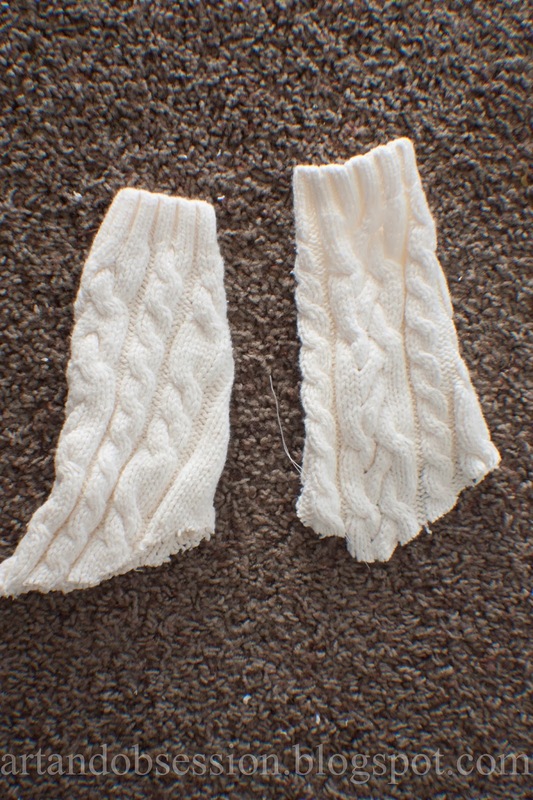 I've been wanting to try out making some boot socks, and let me tell you, this was one of the quickest and easiest projects I have ever done. 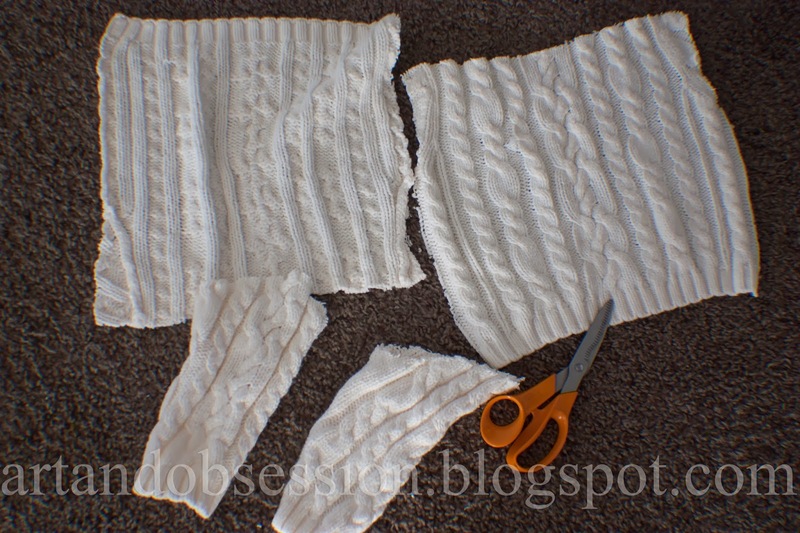 Turn them inside out, and fold them over. Now time to wear, it was THAT simple! 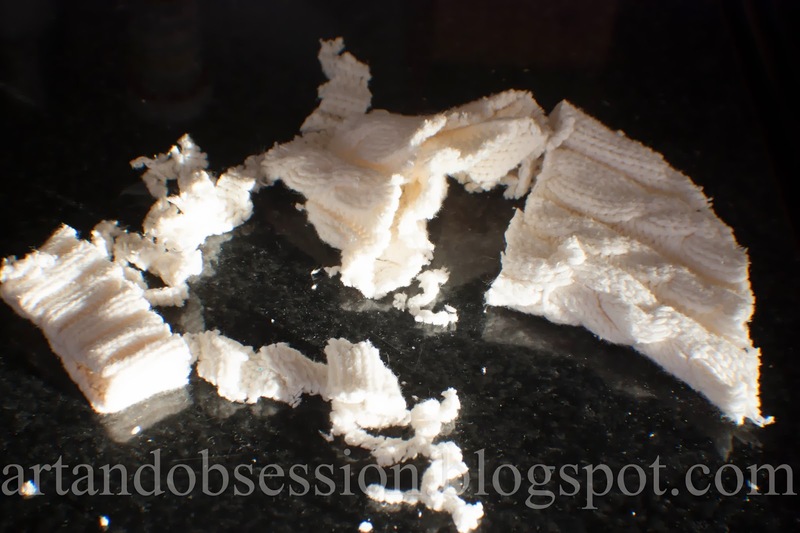 What to do with those little left over scraps? 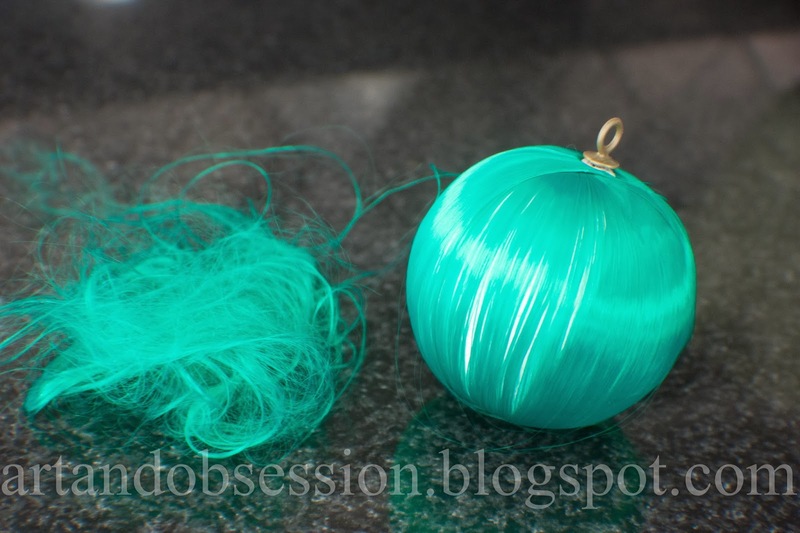 First I peeled off the thread of a thrift store ornament, pack of 5 for 50 cents. 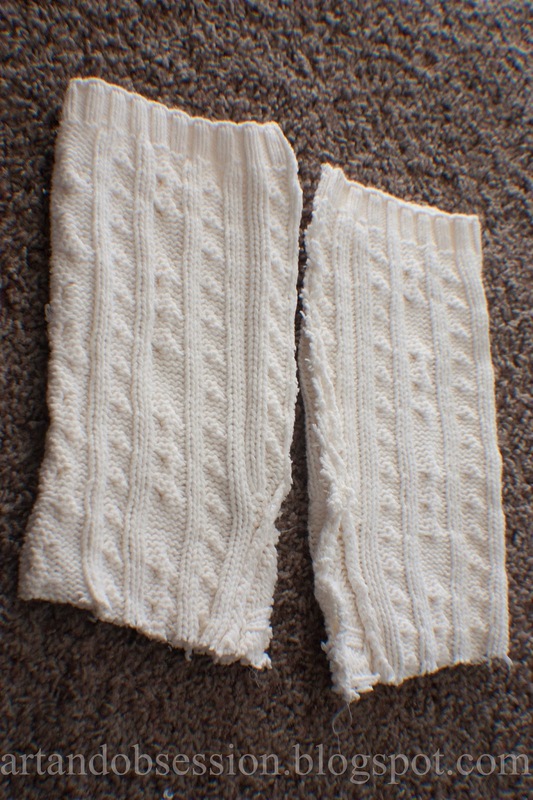 Next, I put them into the sleeves (remember, this was a toddler sized sweater). 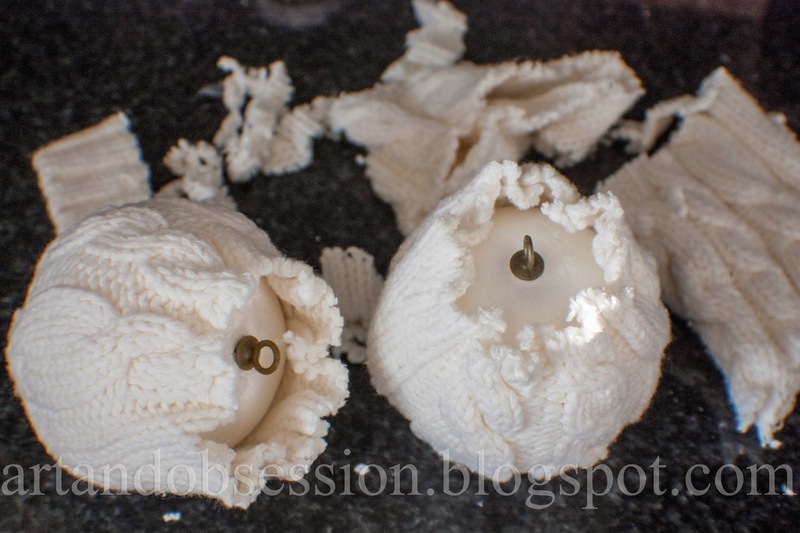 Then, I used a hot glue gun to seal up the ends. 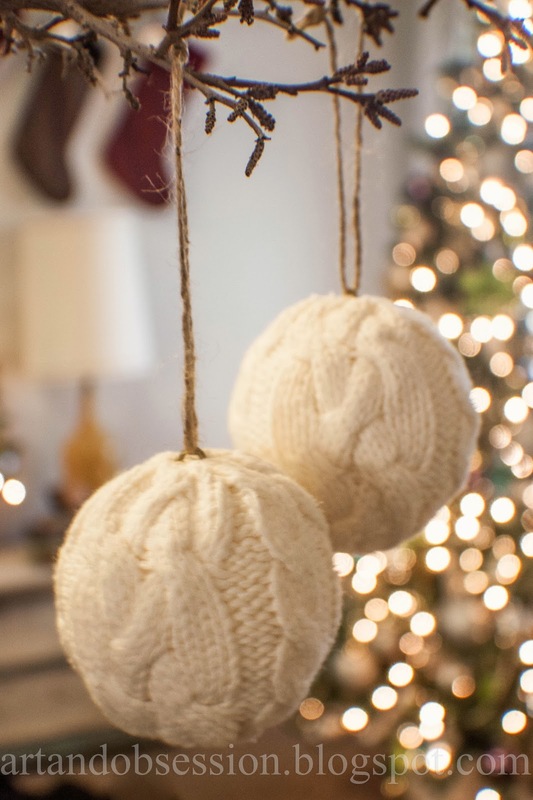 And here is the end result, cozy winter sweater ornaments. I love how they look like over-sized pom-pom's. Now what to do with THESE scraps??? You are just TOO amazing! 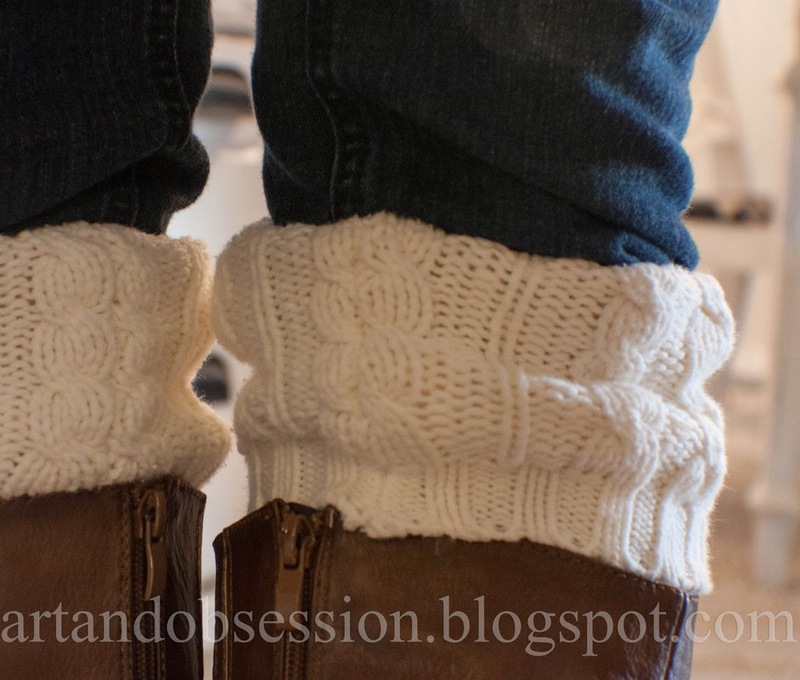 The ornament pom-poms are SUPER cute and the boot socks are DARLING! Now make Lily something out of the teeny tiny scraps. Thank you! You're my number one fan! 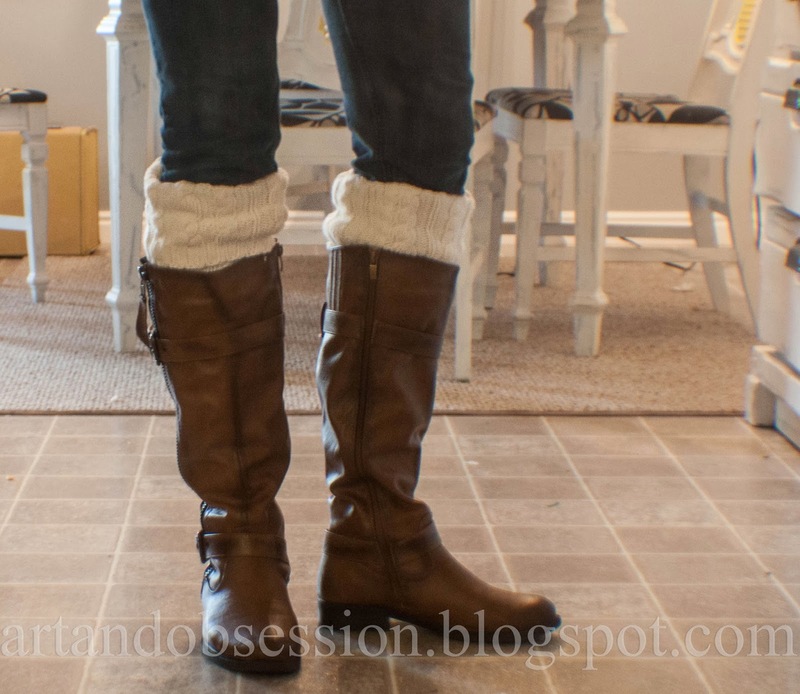 Can I wear boot socks with these riding boots? Wow I just love what you did with these ornaments, they are simply too darlings, now I have to go get myself sem ornaments of my own and start cutting some of my old sweaters but I<ll need to sew up since I<m a size 3X lol... but I<ll try to get a similar result because it is so cool.This is my first visit to your beautiful blog. 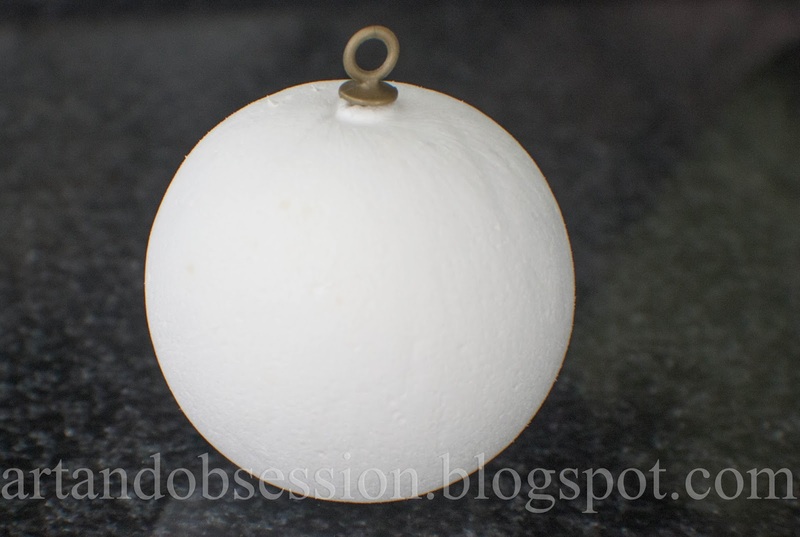 I also wanted to let you know that I'm adding you to my blog so other people can get to see your blog.